What is Search Engine Optimization and Why Do You Need to Know It? Home » What is SEO – Search Engine Optimization and Why Do You Need to Know It? If you are a new to affiliate marketing or blogging, you have probably heard the term search engine optimization, also known as SEO for short, but you might not know what it is, how it works, or why it is important to help you get traffic to you blog or help you make money online. There are two forms of search engine optimization techniques a blogger or affiliate marketer needs to know – on-page SEO and off-page SEO. This article will explain in more detail what these forms of SEO are, and why you need to know what SEO is. to increase the ranking of your content in the search engines. to make your content more easily searchable. get your content to the top of the SERPS (search engine results page) when readers key in your desired keywords, such as product title or related keywords. 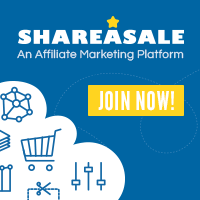 The goal of search engine optimization is to increase readership to your blog and for an affiliate marketer, the ultimate goal of SEO is increase your income. On-Page SEO is a search engine optimization technique to increase traffic to your pages that focuses on several best practices to improve and increase the amount of traffic to your blog pages and not just your blog home page. SEO focuses on the relevance of the title of your article, the ranking of the keywords you select in the search engines to drive traffic to your pages, determining the best keyword to use for anchor text and ranking, and the types of keywords you choose. The title of your article is important, since it obviously tells readers and the search engines what your content is about, and the title should be in the first sentence of your article. The title tag tells the search engines what your content is about. The search engines look to the first page for the title, to help rank your content higher in the search engines for this term. After the title tag, the keywords you choose are critical for ranking your content to increase traffic to your pages. The first type of keyword is the exact match keyword, which is the exact spelling of the keyword found in the search engines that you are trying to rank for, when people type a subject they are searching for in the search bar. Related keywords are less specific keywords to the topic than the exact match keyword, but are nonetheless still related to the topic, and is a great way to get traffic to your pages. In some cases you may find it easier to rank for a related keywords to drive traffic to a page on your blog, especially if the exact match word you are trying to rank for is highly competitive and harder to rank for. A longtail keyword is a keyword phrase that includes the exact match keyword in it, such as ‘Iphone 7 reviews’ or ‘Best Iphone 7 deals online’. This SEO technique can make it easier to rank in the SERPs for competitive exact match keywords, since the keyword phrase is less competitive than the exact keyword, and will come up as a related search term, since it contains the exact keyword readers are searching for. White hat SEO is the ethical and legal SEO techniques to drive traffic and sales to your blog pages. This is the form of Search engine optimization you want to focus on. Black hat SEO is the unethical and often illegal form of SEO to drive traffic and increase sales for your blog by focusing on just the search engine and not the human reader, and often ignore guidelines established by the search engines for ethical seo practices. Black hat SEO includes techniques such as, keyword stuffing, illegal back link building techniques, and using a popular unrelated keyword to direct readers to a page through a link other than what you are writing about, called a doorway page. Once caught, people who practice black hat SEO can have their websites banned or fully blocked from the search engines. Off Page SEO are techniques to drive traffic to your blog pages that rely on alternative methods to increase your blog’s visibility and ranking in the search engines. Using social media or web 2.0, such as Facebook, Pinterest, Twitter, Youtube or Instagram to get visitors to your blog pages. You can manually build back links to your blog, by referencing related articles from a popular blog that has a higher ranking than yours. You can also contact the webmaster from a popular related blog and ask them for a back link. This type of link generally tells the search engines your content is valuable and will reward you with a higher ranking in the search engines. You can get increased traffic to your blog by getting a mention and a link to your blog from other people’s Facebook, Twitter or Instagram pages. Many bloggers have web 2.0 pages, and reference their own content there, as this is a great way for people to find your content. With guest blogging you write an article on another blog, and usually in the Bio section you add a back link to your blog or a specific related page on your blog from a related blog. This is a great way to have readers already interested the topic you are writing about find your content. Commenting on other blogs is a great way to get a back link to your blog, but make sure your comment is meaningful, and not just “great article” or even leaving a comment unrelated to the content. You will be seen as a spammer, and your comment will most likely be deleted. If you are a frequent commenter and leave great comments, other people may start reading your content and you may get invited as a guest blogger. 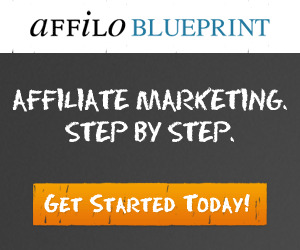 If you are new to affiliate marketing and SEO, AffiloBlieprint can teach you how to use SEO techniques ethically to increase traffic and sales to your blog, without the fear of being banned, blacklisted or shut down.